Winning Group Holdings Limited has selected Invigor Group to distribute and enhance WeChat Pay in South-East Asia. WeChat Pay is focused on expanding its global footprint in order to grow outside of China. This represents a powerful response to the retail industry’s needs, providing shoppers with seamless shopping experiences globally while brands and retailers will be able to engage their customers in more personalised, data-driven and profitable ways. China’s Winning Group Holdings Limited, one of a few appointed global solutions providers for WeChat international services, has selected Invigor Group as its global arm to distribute and enhance WeChat Pay in South-East Asia, starting with Singapore and Hong Kong. WeChat is owned by Hong Kong-listed technology giant Tencent Holding Limited, and is one of the most popular payment and social platforms in China. It currently has over 1 billion users, with 900 million using WeChat Pay actively and growing. More than a social and payment platform, WeChat provides an ecosystem of applications such as ecommerce and content for consumer brands like Adidas, merchants like H&M, Myer and Zara, as well as government and community services like passport registration, transport tickets and others. As such, it is heavily used by both Chinese travellers and residents overseas. Invigor will be assisting on its expansion throughout the South-East Asian market where WeChat is gaining momentum among both Chinese travellers, merchants and local residents alike. WeChat Pay is focused on expanding its global footprint through partnerships in order to acquire more merchants and users outside of China. In Malaysia, WeChat is offered to both local residents and Chinese tourists. Malaysians can link their WeChat to their local bank accounts and credit cards. In such a cash-based country, the WeChat Pay option has been embraced as an alternative. The platform has reportedly amassed 20 million users. According to Singapore Tourism Board, Chinese visitors spent $3 billion SGD last year on average and arrival to Singapore has increased (+13% in 2017), as has its tourist receipts (+10%) excluding sightseeing, entertainment and gaming. The convenience for Chinese tourists to use WeChat Pay overseas is a great opportunity for merchants to expand their customer base, bring more Chinese customers into their stores and grow sales. Tencent’s 2018 second quarter results show that daily active users and time spent across the platforms have increased. Capabilities and usage of Mini Programs (sub-applications within the WeChat ecosystem) have also been extended by integrating them with more digital tools to allow more customised solutions. Given Invigor’s established presence in Asia and its domain in the retail industry, particularly in Singapore, the company has a solid customer base of large shopping malls who are continuously exploring new ways to deliver better shopping experiences to their tenants in order to increase long-term loyalty and profitability. Invigor’s expertise and knowledge will be major contributors to the success of WeChat Pay penetration in South-East Asian markets. Invigor will work with its customers and the footprint retailers, who use Invigor’s Loyalty platforms daily to influence and reward shoppers, to offer the benefits of WeChat Pay and increase adoption and usage of the WeChat Pay platform among local shoppers and in-bound Chinese tourists – all heavy users of the WeChat ecosystem. In China and for Chinese tourists, powering most of South-East Asia’s retail growth, WeChat is their preferred platform to connect through social messaging, make payments, access government services and search for products and services from retailers and brands. 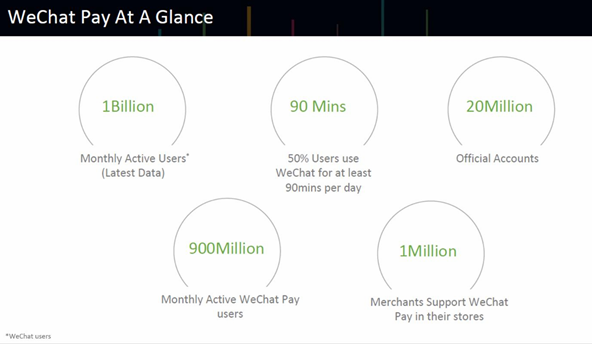 WeChat currently has 1 billion users, 20 million official accounts and 1 million merchants who support WeChat Pay in their stores. The integration of Invigor’s data-driven Loyalty platform with WeChat Pay, WeChat Mini Programs (which are like Apps) and WeChat Store (ecommerce platform within the WeChat ecosystem) will allow retailers and brands that have official accounts or pages within WeChat to build their own database, run their own loyalty and rewards programs and influence or engage customers through the WeChat targeted social messaging services. The opportunity for Invigor to enhance WeChat for merchants with data-driven loyalty and insights will initially help them to attract more customers, particularly to increase the share-of-wallet from Chinese tourists and long-term visitors, who are among the top visitors to South-East Asia. Invigor and Winning Group’s strategic partnership represents a powerful response to the retail industry’s needs. Shoppers will benefit with seamless shopping experiences globally while brands and retailers will be able to engage their customers in more personalised, data-driven and profitable ways. For example, Invigor Group partner, Winning Group and WeChat, launched 100 “staff-less” convenience stores called “Easy Go”, which are similar to Amazon Go but completely powered by WeChat technology. Your entry to the store is via QR code scan through WeChat. All products are automatically added to your WeChat wallet, which is paid as you walk through the door to leave. Your payment is made without you having to interact with any staff or pull out your wallet at all. Invigor Group is a leading Data Analytics, Insights and Loyalty company whose mission is to empower the retail sector so they can effectively engage with their customers while increasing loyalty and long-term profitability. Invigor focuses on business outcomes by taking a strategic view to deliver clients profitable growth. 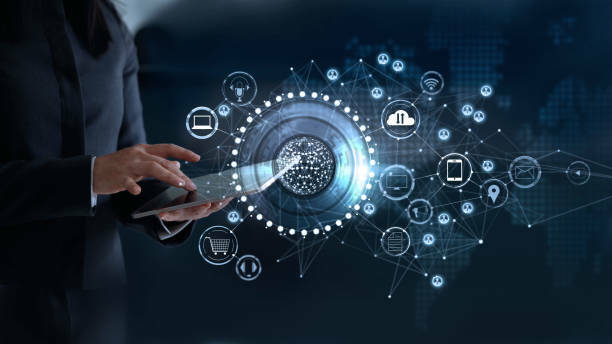 Its interconnected datasets allow better understanding of markets, competitors and consumers through affordable cloud-based solutions. Winning Group is a company based in Hong Kong Special Administrative Region of the People’s Republic of China with specialised products and services in online-to-offline consumer experiences for physical business. Winning Group is a global solution service provider of WeChat international services which includes mobile payments, application, development and other WeChat related-services.